Can Spanx Prevent You From Being Overwhelmed? So you want to live the life of your dreams? To break free from what’s holding you back and live a life of abundance? Perhaps, you have a lack of clarity or you’re fearful of what happens next. Maybe, you continue to deny your greatness and hope that “one day” your life will somehow get better. 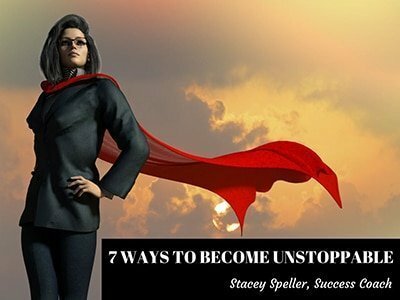 That’s exactly why I wrote my eBook 7 Ways to Become Unstoppable. There’s only one way to get it – by subscribing to my FREE email newsletter.